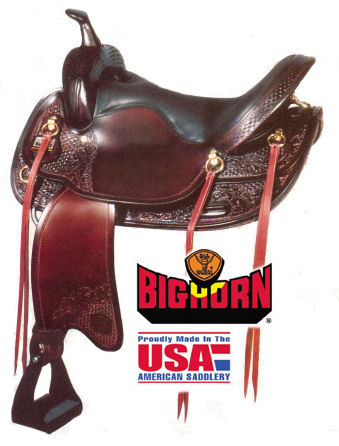 Big Horn 17" Flexible tree Walking Horse Saddle. With flex tree, 17" Dual Density Foam padded seat, strings and wool skirt lining. Tree: Big Horn Flexible Tree with exclusively designed Walking Horse Bars. Seat: 17" grainout with Dual Density Memory Foam Seat Padding. Stirrups: Aluminum, rubber padded endurance stirrups. Trim: Solid Brass hardware with saddle strings.